The Delaware Municipal Court trial for a former Ohio State assistant football coach charged with criminal trespass has been set for October. According to court records, Zachary E. Smith, 34, a now-fired receivers coach at Ohio State, was charged with criminal trespass in May 2018 after he went to his ex-wife’s Powell home for a custody exchange, which he had been previously warned not to return to. 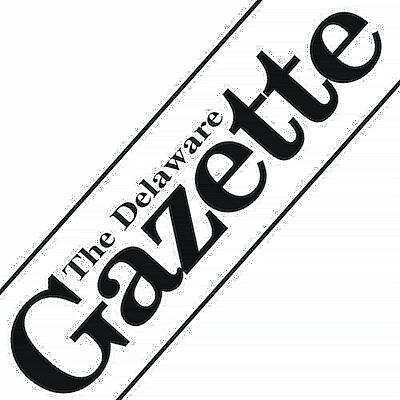 He pleaded not guilty to the misdemeanor charge on June 5, and Delaware Municipal Court Judge Marianne Hemmeter scheduled a jury trial for Aug. 23. The trial was delayed on Aug. 20, and a status conference was held in the case. At the status conference on Aug. 23, the parties agreed to new dates in the case including a discovery deadline of Sept. 7, a motion deadline for Oct. 5, a motion hearing for Oct. 12, and a jury trial for Oct. 25. On July 18, Smith’s attorney, Bradley Koffel, told Columbus Radio station WTVN that the exact location of the custody exchange had not been determined when Smith went to his ex-wife’s home, and Koffel added Smith’s ex-wife told him to drop their son off at the apartment complex’s clubhouse. Koffel told WTVN that when Smith arrived at the clubhouse, his ex-wife wasn’t there, so he drove to her apartment. Smith was fired by the university on July 23 after his ex-wife filed a motion in Delaware County Common Pleas Court asking for a domestic violence civil protection order. The Associated Press reported that Smith’s ex-wife alleged that Smith shoved her against a wall and put his hands around her neck in 2015 during one of several domestic incidents. The AP reports the couple divorced in 2016. Smith was never criminally charged with domestic violence, court records show. OSU head football coach Urban Meyer initially told reporters in July that he was unaware of the 2015 domestic violence allegations, but he later acknowledged that he was aware of them. Since then, Meyer has stated he handled the accusations properly when he learned of them at the time. On Aug. 22, OSU announced that Meyer had been suspended for three games for mishandling the abuse allegations. The first game of the season is Sept. 1. On Aug. 21, OSU announced the creation of a centralized office for responding to sexual and gender-based harassment, violence, and other types of discrimination and harassment.